Harnai Beach, located in Harnai village of Ratnagiri district in Maharashtra, makes for a perfect weekend getaway. Also known as Maharshi Karve Beach, it is located at a distance of 240 km from Mumbai. The beach is secluded, with only the local fishermen around. However, it is fast emerging as a favourite among tourists for this same reason. As you approach the beach, the Suvarnadurg Fort reveals itself in the horizon. This getaway is a famous port since time immemorial. Harnai is also a famous fishing harbour that is known for its fish auctions. They start at around 6 PM when the fishermen are back from the sea. Winters from November to February are the best time to visit Harnai. The summer months are extremely hot and humid. Monsoons can be fun, but are unpredictable and can build up a lot of humidity. Therefore, winters are the perfect time to visit Harnai and relish the beach. By Rail: Khed on Konkan Railway is the closest railhead to Harnai. You have to take a taxi for 41 km to reach Harnai from Khed railway station. By Road: There are two routes you can take to reach Harnai from Mumbai by road. Route 1 - Mumbai - Rasayani - Mangaon - Palgad - Harnai via Bangalore- Mumbai Highway/ Mumbai Highway/ Mumbai - Pandharpur Road/ Mumbai-Pune Highway. This takes 5 hours 11 minutes to cover a distance of 240 km. Route 2 - Mumbai - Lonavala - Pimpri-Chinchwad - Mangaon - Dapoli - Harnai via Bangalore-Mumbai Highway/ Mumbai Highway/ Mumbai-Pune Highway. The total distance is 334 km and by this route it would take you a little over 7 h 10 min to hit Harnai. Route 2 has better roads and is, hence, recommended. It is better to start early from Mumbai as the weekend traffic might build up and you can avoid getting stuck in the traffic jam. Mumbai to Lonavala is 82.7 km and takes 1 h 45 min to cover. Lonavala is a hill station that was discovered by the British Lord Elphinstone to escape the Indian summers. It is known for its weather and also chikki, candy made with peanuts. There are shops that have been in the business of making this delicious peanut jaggery brittle for years now. Bhushi Dam in Lonavala is a great place to visit during the monsoons. The steps leading to the dam are neck-deep in water. Coupled with green surroundings, this is a perfect retreat. You can trek up a hill to get to Rajmachi and Kondana caves. These forts built by Chhatrapati Shivaji are favourite trekking destinations among adventure lovers. Shirota Lake is beautiful lake near Lonavala, which is perfect for camping and picnics. Pimpri-Chinchwad is about an hour away from Lonavala and about 52 km in distance. Baner-Pashan Biodiversity Park is constructed to protect the flora and fauna around Baner and Pashan Hills. Bird Valley Udyan is a great place to spend the evening boating and taking long walks around the park. Pimpri Chinchwad Science Park (PCMC) houses galleries based on different themes like science, technology, astronomy etc. They also have a 3D show on latest topics. It is a favourite among the kids. Mangaon is a town that is 151 km from Pimpri-Chinchwad. It takes around 3 h to reach Mangaon. Shri Ballaleshwar Ashtavinayaka Temple and Shri Varad Vinayak Temple are famous temples in this area dedicated to Lord Ganesh. 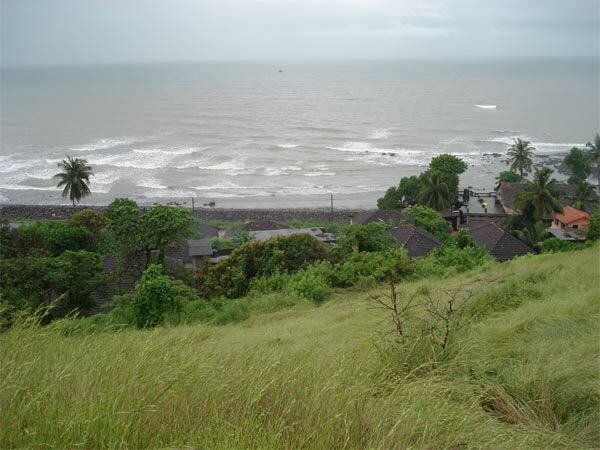 Varsoli Beach and Kihim Beach are well-known beaches in Mangaon. They have water sports as well. Kondona/Kondane caves can be reached after a small trek. This trek passes through a jungle which is well interspersed with waterfalls and beautiful views. It take about 30-40 min to reach the caves, depending on your fitness levels. Dapoli is 2 h away from Mangaon. It is at a distance of 83 km from Mangaon. Unhavare Hot Water Spring in Dapoli is known for its redeeming properties. The sulphur in this hot spring is said to be very good for the skin. Kadyavarcha Ganpati Temple near Dapoli is famous for its rare statue of Lord Ganesha where his trunk is on the right side. Panhale Kazi Caves are in a thick jungle that is filled with birds and reptiles. It makes for a great trekking opportunity. Harnai is 30 min away from Dapoli. The getaway is a fishing hamlet and is quite an escape from the mundane life. The natural harbour, white sands, clear water and beautiful coastline together deliver a pleasurable holiday experience. Every evening, fish auctions take place at Harnai. This is the main occupation of the village. Many fish varieties like pomfret, kingfish, mackerel, lobsters, sting ray, squid, prawns are auctioned and sent to Mumbai. Some of them are exported as well. Harnai has 4 forts standing tall and majestic. They are Suvarnadurg, Kanakadurg, Goa Fort and Fategad. Suvarnadurg is a sea fort surrounded by water on all sides. Conquered by Shivaji Maharaj in 1660, it was made base for the ship building facility for Maratha Navy. Kanakadurg Fort is a sub fort of Suvarnadurg which was constructed by Shahu Maharaj. The view from the top of this fort is fabulous, offering sights of fishing boats, auctions, and the invincible Suvarnadurg Fort. These are rock-cut Buddhist temples near Harnai. They are a series of caves with exquisite architecture from the times of Buddha (approximately between 3-14th century AD). These caves fell into the hands of Naths who added more artwork depicting their religion. During the Silhara period, these caves were used to worship Ganapati and Shiva. This temple is dedicated to Sri Krishna and his consort Radha, aka Rakhumai. The temple is located on the banks of river Chandrabhaga and a dip in this holy river is said to rid oneself of their sins. This temple made news in 2014 for becoming the first temple in India for inviting women and people from backward classes to become priests.